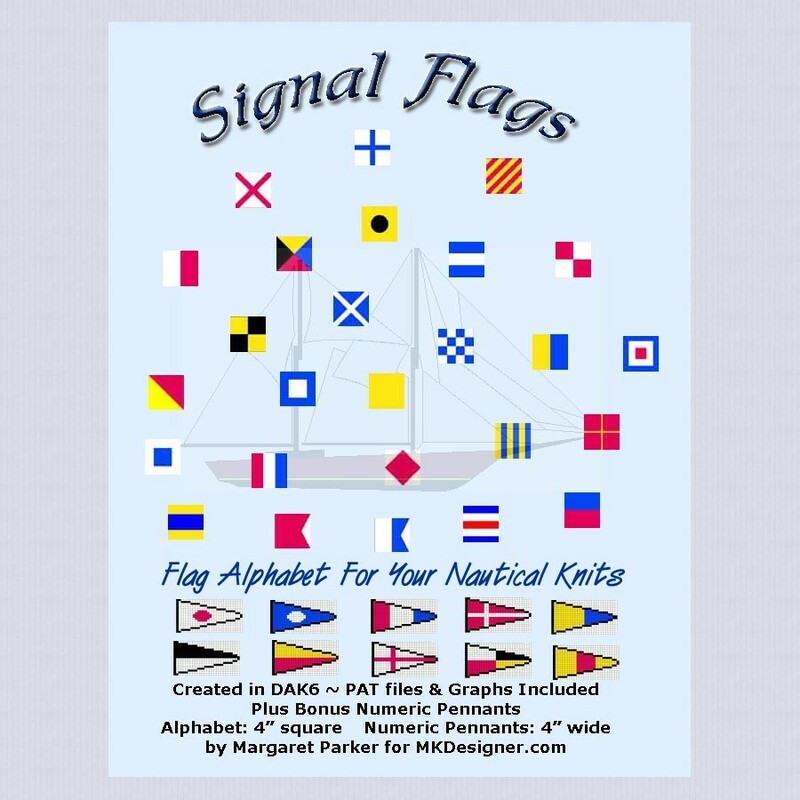 Available in DAK (requires the Design-A-Knit software) or as GRAPHS (no written instructions) for those who wish to manually input the designs into their electronic machines, or even knit them by hand. These are perfect to enhance all your Nautical Knits! 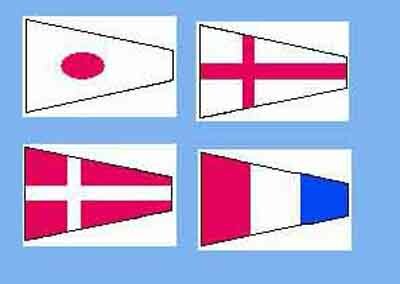 There are the full alphabet flags in handy 4" square designs PLUS we have the Numeric Pennants which are also 4" wide. Make boat cushion covers, bunkbed afghans with your own name spelled out! Or have your designs embellish the bottom of your sweater? Patch Pockets? Placemats? All sorts of things come to mind with these great little patterns.